“Boosting the capital’s investment appeal is a priority for the Moscow Government. The city is working on providing comfortable conditions for doing business and attracting investments to various spheres of the economy,” Head of the Moscow Department of Science, Industrial Policy, and Entrepreneurship Alexey Fursin said in an exclusive interview with Capital Ideas. Mr. Fursin, is Moscow losing its investment appeal due to political tensions? Sanctions aside, what is the city doing right now to encourage foreign investors to come here? I’ll give you some numbers to clear things up. Investment volumes have gone up 77% in Moscow over the past 7 years. Last year, they reached almost 2 trillion rubles. It’s also worth pointing out that Moscow accounts for almost 50% of direct foreign investments in Russia. Of course, this kind of progress doesn’t appear out of thin air. The Moscow government is doing everything they can to improve the city’s business climate, and international institutions confirm this to be the case. Moscow was in 6th place on the cities of the future rating published by the Foreign Direct Investment Intelligence (part of Financial Times Group) in the beginning of this year, and in 1st place among Eastern European cities. This means that, in terms of economic potential and investment attractiveness, our capital is in a good position behind cities like London, Dublin, Paris, Amsterdam, and Helsinki. In terms of investment attractiveness, Moscow is also in the lead among Russian regions. This information comes from the National Investment Rating of the Subjects of the Russian Federation, which was published recently. So yes, Moscow is a tough competitor in the battle for investments. The city has a developed transport and social infrastructure, as well as high quality labor and other resources. Because the investment climate in Moscow has improved so much, Russia placed 35th in the international Doing Business rating in 2017, moving up 5 places. Russia is currently 12th in the world when it comes to “property registration simplicity,” and 10th in terms of “connection to networks.” Right now, it’s easier to do business in Moscow than in Brussels or Rome. Moscow is also competitive when it comes to attracting investments to high-tech manufacturing localization due to tariffs and the availability of qualified specialists in various professions on the labor market. One of the most important trends in modern urban planning is the emphasis on establishing special economic zones that are necessary for the region’s innovative economic development. 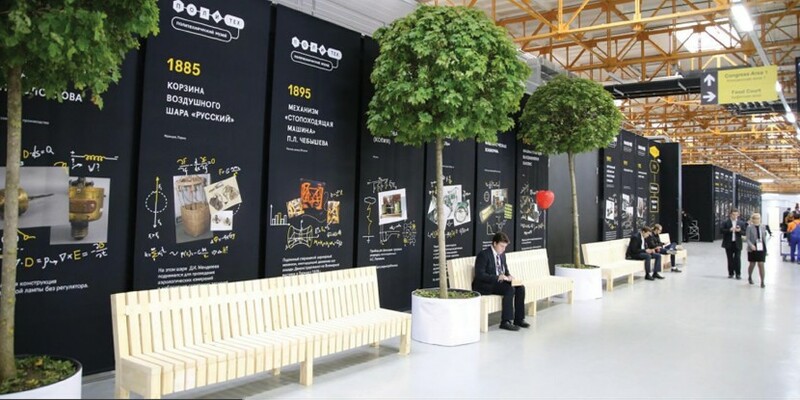 In Moscow, innovation is stimulated by the special economic zone (SEZ) Technopolis Moscow. It has helped the capital attract several billion in investments every year and create hundreds of jobs. Key factors that attract investors include a wide range of incentives and benefits, a developed infrastructure, and sufficient capacity to launch production. Since management of SEZ Technopolis Moscow was handed over to the government in September 2017, another 15 residents have been added to its registry, and total planned investment volumes into future projects amount to 13.605 billion rubles. The capital’s economy is stable, which means that it’s protected against many risks. But the city isn’t stopping here. The government is implementing large-scale development programs, making systemic improvements to the entrepreneurial climate, and are improving different areas in the city. As a result, Moscow should become more appealing for localization of international business and qualified specialists who will be able to realize their potential here and promote further economic development of the capital. Moscow is a mega-city with 20 million people. It’s clear that there are a lot of spheres that are of interest to foreign business people. What are they most interested in? Construction, manufacturing, research..? There are spheres that have more potential in terms of strengthening Moscow’s international positions. They are our priorities in terms of where investments are directed. These are spheres in the real sector that make a significant contribution to Moscow’s gross regional product and provide jobs for the city’s population – transportation, information technology, communications, and high-tech industrial manufacturing. Overall, increasing the city’s investment attractiveness is a priority for the Moscow government. The city is working on providing comfortable conditions for doing business and attracting investments to various spheres of the economy. What is the city doing to develop small and medium-sized enterprises (SMEs), which is the foundation of all of the world’s leading economies? A network of centers called “Small Business of Moscow” has been established and is developing for the purpose of providing informational and consulting support. There are 15 of them in the city right now, and you can take their programs for free. The centers significantly help entrepreneurs to not only understand the local market, but also provide assistance in terms of registering events and consultations for entrepreneurs who are starting their own companies, need help with taxes and accounting. Last year a process was launched to automate online consulting (there is a service called “Find Premises,” which lets people get information about available spaces in commercial real estate within 24 hours). You can find the full range of services provided by the centers on the mbm.ru, and also see where in Moscow each center is located. The city also organizes various educational events for entrepreneurs (workshops, seminars, classes) every year. There are thousands of these events in Moscow, with over 40,000 attendees in total. In October 2017, a free startup school for beginner entrepreneurs was launched. It offers an intensive 5-day course on the basics of starting a business. Any Russian citizen over the age of 16 or an SME representative who files an application on mbm.ru can enroll in the course. A new educational project is currently in development as well. It’s an online academy with a selection of e-courses on topics most relevant to business. Its main goal is to make learning about entrepreneurship more convenient. The Fund of Small Business Credit Assistance of Moscow has been operating since 2006 in order to give small and medium-sized business representatives more access to loans. Since 2006, the Fund has helped entrepreneurs attract over 121 billion rubles of loaned capital. Providing support for and promoting the development of SME representatives that are focused on exports is an important task for the city. The Moscow Export Center, which works with Moscow exporters, was established in 2017. The center holds educational events and provides consulting on foreign economic activities, arranges for Moscow manufacturers to participate in Russian and foreign exhibitions under the brand “Made in Moscow,” and promotes their products on international electronic trading platforms, and also maintains an electronic catalog of export products in Moscow. A Headquarters for Business Protection has been established in Moscow in order to create favorable conditions for entrepreneurial activities. Its main goals are to protect the rights and interests of entrepreneurs, as well as to help eliminate administrative barriers. The headquarters assists entrepreneurs both on an individual basis and systemically, by improving the business environment. A city’s potential lies in the people who live there. What measures is Moscow taking to create favorable conditions for professional development? In the 90s and 2000s, being an engineer became less prestigious and there were no career guidance programs for young people. As a result, the manufacturing sector, which is one of the key drivers of the city’s economy, was short-staffed. Because of this, the city created career guidance and orientation programs for young people. A chain of 12 children’s technology parks based in regular technoparks started operating across every district in Moscow. About 35,000 children will complete programs in these technology parks every year. The technology parks offer training for high school students across 19 different disciplines. Key areas of study include robotics, information technology, the automotive and aerospace industry, animation, electronics, green energy technologies, and smart technologies for urban spaces. Of course, these children’s technoparks benefit future employers. 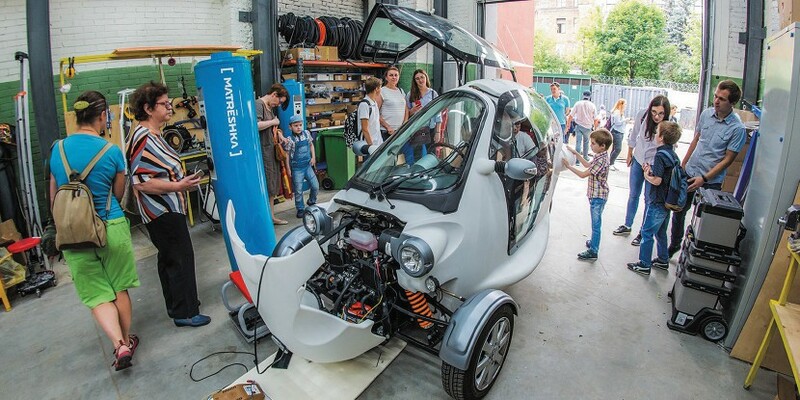 A network of innovative creativity centers for young people, where school children and young adults can implement their scientific and technical ideas, is also under development in Moscow. There are currently 69 centers like this in Moscow, with 15 specializations to choose from. In spite of the fact that Moscow is one of the most educated cities in Russia (48% if Muscovites have a university degree and the city houses 23% of the country’s universities), the problem of attracting new STEM personnel is a pressing one. In order to help support young scientists working in Moscow, the capital’s mayor Sergey Sobyanin established the Moscow Government Prize. It’s awarded across 22 nominations. 11 nominations are for research fields, and another 11 are for development. Over the past 5 years, over 3,000 young scientists have submitted their work for consideration. The Moscow government and the Russian Foundation for Fundamental Research jointly implemented a two-year program to provide young scientists working in the capital with grants to finance projects relevant to the city’s economy. Within the scope of the program, 100 grants were allocated to finance research and development across 8 science disciplines. Each selected project received 2 million rubles.